The MASMOVIL Group is an integrated telecommunications operator providing universal telecommunications services (fixed / mobile / ADSL / fiber / datacenter / value added services) to multiple market segments (residential / business / operators). The Group, originated in 1997, has managed to consolidate as a rapidly growing telecommunications’ operator, maintaining a continued policy of expansion through acquisitions. Its’ philosophy is to have the most competitive offer in the market, both in price and quality of service, thus ensuring high customer satisfaction. Although listed since March 2012, the current Group is the result of the integration of various telecom operators during 2014, each with a strong entrepreneurial spirit and which have achieved sustained growth in their respective markets, being the main ones: MÁSMÓVIL (residential market), IBERCOM (companies), QUANTUM (telecom operators), XTRA TELECOM (companies and telecom operators) and THE PHONE HOUSE MOVIL (residential). After the acquisitions of Yoigo and Pepephone, the New MASMOVIL Group has reached a very relevant dimension with more than 1.1 billion euros in revenues, EBITDA clearly above 100 million euros, and a portfolio of more than 4.3 million clients. 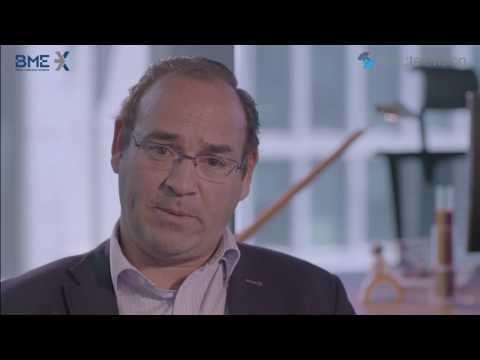 Its’ strategic goal is to become one of the top 5 Telecom operators in Spain by turnover. MásMóvil was listed on MAB since March 2012 until July 14th 2017 when joined Spanish Stock Exchange.